The tropheops is one of the largest Mbunas and can measure up to 18 cm. 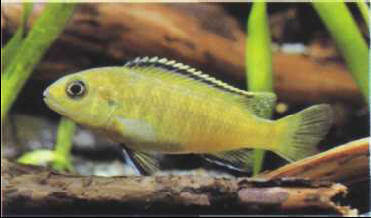 The male displays a violetbrown coloration; the female is dark yellow. Supplements of vegetable material are desirable.